How would a ban on horse slaughter that triples the suffering of unwanted horses AND cripples a $billion horse meat industry affect you as a dog owner? Read this, watch the two videos below and then email the Wild Horse and Burro Advisory Board prior to the Meeting on Wednesday April 13, 2016 in Redmond, Oregon. In 2006 the House voted to end horse slaughter but the American Horse Slaughter Prevention Act failed in the Senate. Now, ten years later, we literally "look" at what we face today. Ending the slaughter of horses is NOT the answer. Ending cruelty and preserving our national identity is paramount. Before you skip to the videos, look closely at the photo of wild horses eking out a living in Monument Valley. They don't have much, don't ask for much. Preserving the open range, the only place on earth where horses still run free, is preserving the symbol of freedom that defines America. Little by little, that open range is slipping away from us. WHY that is happening leads us to the reality of horse slaughter. Why Send A Horse To Slaughter? What would you do with a horse you love but can no longer afford and whose suffering you can’t legally end? Confronted with deadly disease, injury, or slow starvation from lack of tooth care, owners who can no longer afford vet bills opted for humane, regulated slaughter. The HSUS fought to pass the bill to prevent horse slaughter and banked a lot of donations based on "protecting the wild horse." At first glance, this publication agreed with HSUS and other "animal rights" groups. But then we looked into why the American Quarter Horse Association opposed passage of the act. AQHA is the world’s largest, registering more horses per year than all of the other associations combined. Also fighting the Horse Slaughter Prevention Act were The American Association of Equine Practitioners and the American Veterinary Medical Association. Huh? That got our ears up and we began to look at the consequences of banning horse slaughter. When the ban on horse slaughter failed to pass, the animal rights crowd used new tactics. Two Texas facilities were closed after locally-launched battles. An Illinois abattoir reported to be the last horse slaughter facility in the U.S. was also closed through animal welfare/animal rights action in the state following a U.S. District Court ruling which stopped all inspection payments to USDA. Owners faced with only one legal but inhumane disposal choice dumped their horses in state parks or along rural highways. The $100 billion horse meat industry was decimated and a half million directly related jobs were lost. 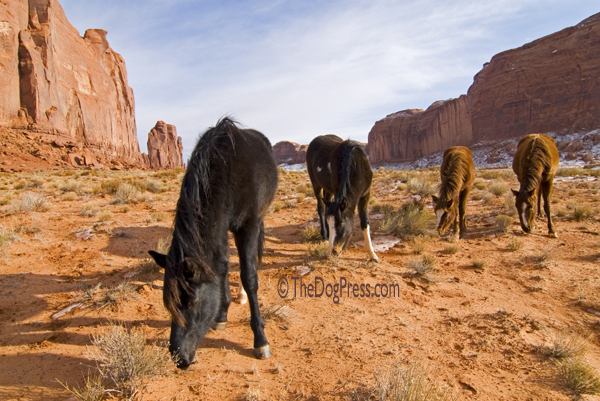 Horses were trucked to Mexico where horse meat is mixed with beef and sold back to the U.S. Yes, you read that right. Crowded into cattle trailers for trips to Mexico that often took days, slaughter horses were rarely watered or walked. Those that survived were inhumanely killed due to poor regulations and lack of enforcement of existing regulations. For instance "slaughterhouses in Mexico use a "puntilla" knife to severe the spines of horses prior to slaughter. This barbaric practice simply paralyzes the animal. The horse is still fully conscious during the slaughter process until he is bled out." about 10% of American horse meat was used to feed racing greyhounds, other specialty markets, and zoo animals. 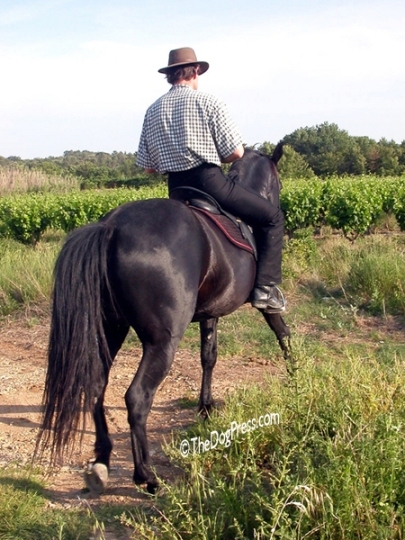 Horse meat is lower in antibiotics, and hormonal growth and milk stimulation residues. The rest was air shipped to Europe and Japan where it is considered a healthy delicacy. Because horse meat is lower in cholesterol than beef and has a high iron, low fat content, it can be a red meat alternative for people with heart problems. But HSUS Screams WHOA On Humane Horse Slaughter! If PETA, HSUS, and other animal rights groups fight the Horse Protection Act H.R. 2112, unwanted horses will again be left by the wayside or forced to endure horrible transportation and foreign slaughter house cruelties. Obviously the animal rights fight to stop horse slaughter was never about animal cruelty! It is a transparent attack against everyone who is not willing to become vegetarian. The aim is to make all of us the PETA NATION and gain more followers for HSUS and other such groups. Equating the harvest of horse meat to slaughtering Trigger, HSUS threatens protests and legal actions even though the American Veterinary Association concluded that the ban on horse slaughter should be lifted. Unlike HSUS and PETA, the AVMA is not trying to be more popular with vegetarians, liberals, and celebrity donors with deep pockets. Reuters claims that around 130,000 horses are slaughtered each year in Canada and Mexico and nearly as many in the United States. All animal lovers must fight to enforce the new Horse Protection Act and stop the wholesale roundup and slaughter of healthy wild mustangs. That The Horse Slaughter Prevention Act must not come back just because the Animal Rights crowd has the political power and money to make it happen. This double edged sword must come down on the side of common sense and morality. Horses have served mankind since 3600 B.C. and they are much more than a farm animal. But an estimated 92% of horses are not owned by people who have the wherewithal or property to humanely euthanize and bury them on premises when the inevitable occurs. Allowing aged and infirm horses to continue to serve man by feeding hungry people around the world is the only thing that makes sense. But THIS is not the way to do it. Beef cattle are treated like royalty compared to what you are about to see. We selected two short videos. Please, watch the unique history of the native American mustang. He is the historical symbol of a free America. The second shows what we have become. The horrible, gut-wrenching reality of what happens during the chase - and afterward. Is this worth the price of the steak on your plate? It is all about land management for the cattle industry. Email your comment whbadvisoryboard@blm.gov include "Wild Horses Advisory Board Comment in the subject line.